Set: H 166mm x Dia 41mm. 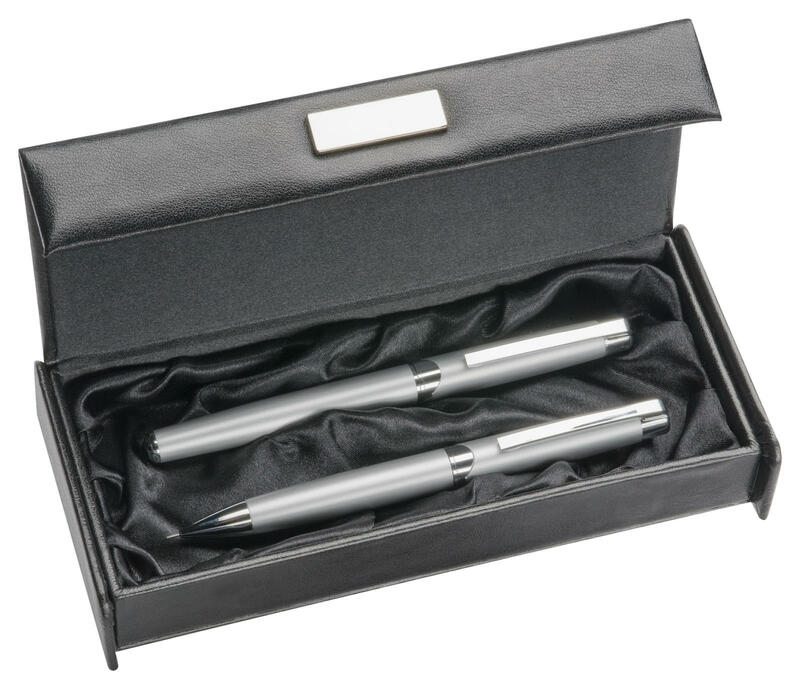 Superior pen set which features a twist action ball pen and a rolling ball pen with a cap, both of which have a stylus for use with touch screens. 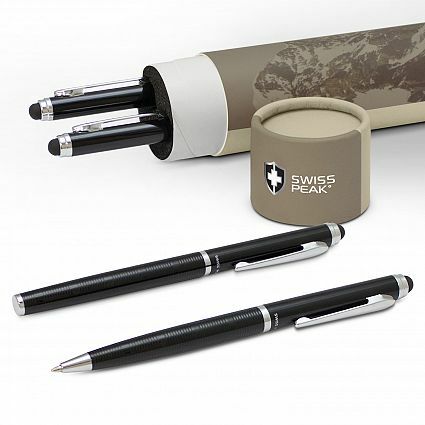 These Swiss Peak pens are lovingly crafted from heavy brass and feature a decorative patterned lower barrel. 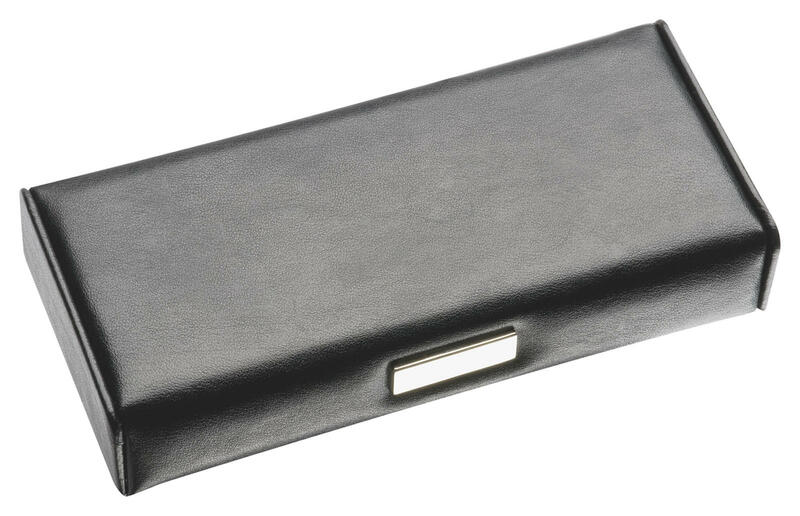 The pens feature long life Blue ink refills and laser engrave to a brass colour. 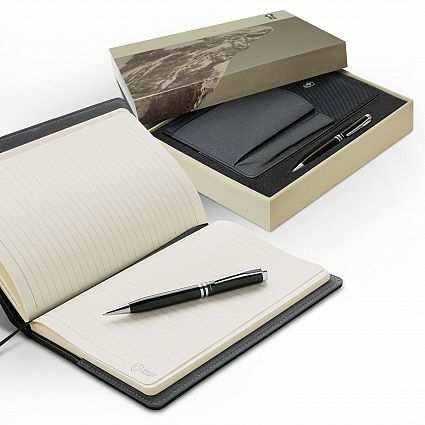 This outstanding pen set is beautifully presented in a stunning printed Swiss Peak gift tube.